​Byron brings his tireless enthusiasm and optimism to multiple projects as a Writer, Director, Editor, and Singer/Performer. After attending various film and television courses throughout High school and college, Byron immediately worked on multiple local productions in every role from P.A. to 1st A.D. In 2006 Byron utilized this experience to Write, Produce, Direct, and Edit the feature film Night; which was quickly acquired for worldwide home distribution. Relocating to Seattle, Washington Byron directed music videos for bands including The Break Up, Legion Within, Cylab, and Endless Sunder, The Labrynth. He also directed the short film Phantom Theater. ​For 8 years Byron was a member of the Industrial band GOD MODULE, bringing his over the top style to their live shows. He performed live at Venues and Music Festivals across the world for crowds of up to 5,000 people. Byron recently achieved new heights as a filmmaker and Singer/performer. As the lead singer/lyricist, Byron brought his unbridled enthusiasm to the new Shock Rock band, Ghosts in the Graveyard. After a year of theatrical stage shows, their debut album, Monsters for the Masses, was released in October 2016 to instant critical praise. 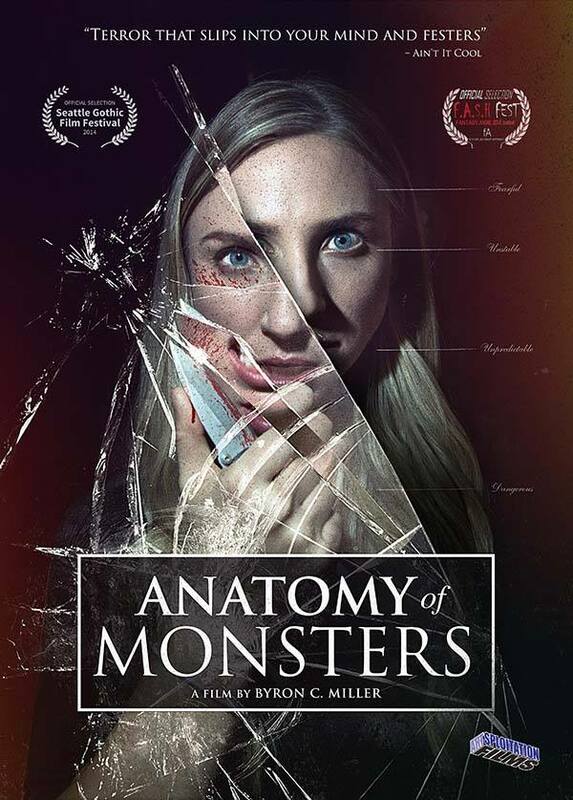 ​On November 15th, 2016 Byron’s second feature film, The Anatomy of Monsters; a soul bearing story about the darkest impulses of the human psyche, was released on DVD and VOD through Artsploitation Films. ​Byron is currently attached to Direct two original new Horror films, both in active development in Hollywood, CA.